On the way up to the annual convention on August 4, 2011, we took US 23 north through Ashland and Russell to Greenup. From there we went northwest up the "Double A" highway to Covington. Along the way we stopped in Maysville, Ky.
1. Former C&O and now Amtrak stop at Maysville looking west. 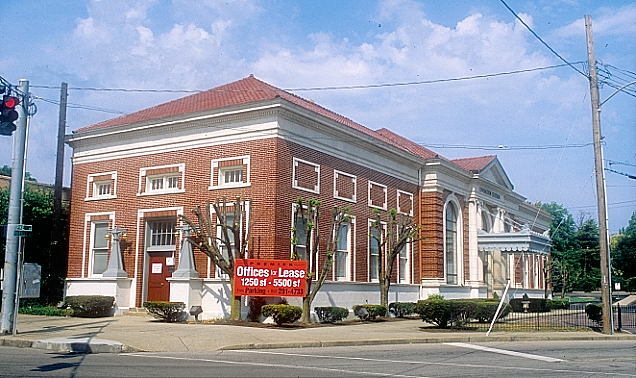 Maysville and Pikeville were of essentially the same design. 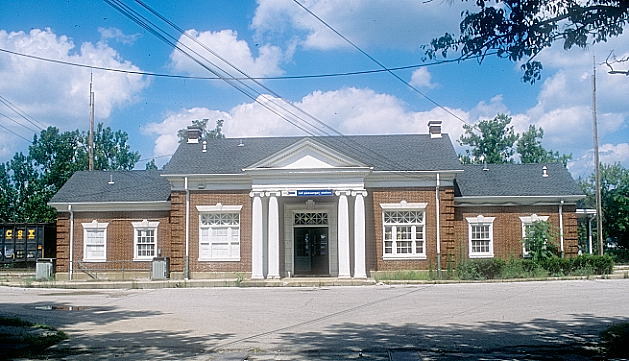 Pikeville had only one line of columns supporting the canopy instead of two. 2. View of the depot from the entrance off the street. 3. 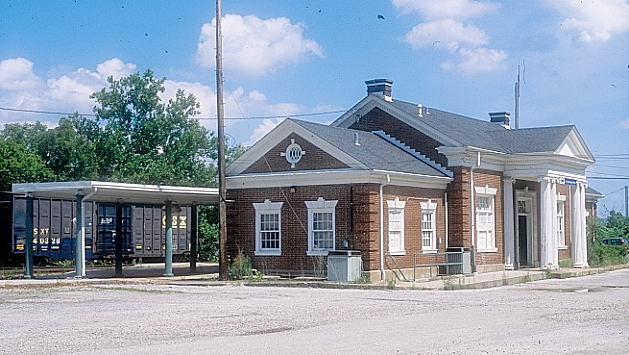 West end of the depot. 4. Former baggage and express building now used by CSX Engineering. 5. Looking west at the small yard. Get a load of that white mansion on the hill in the background. 6. 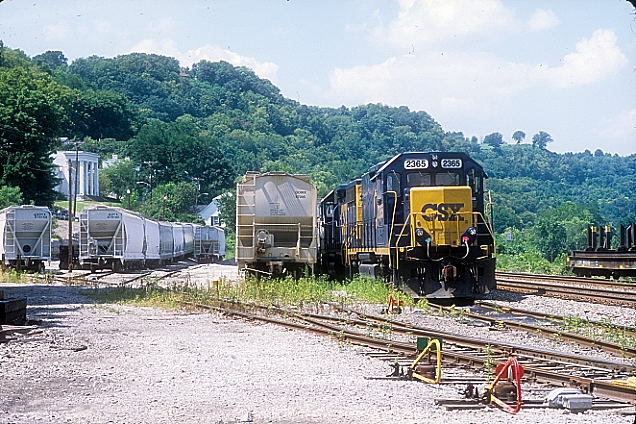 CSX Road Slug 2365 and GP40-2 mother 6965. 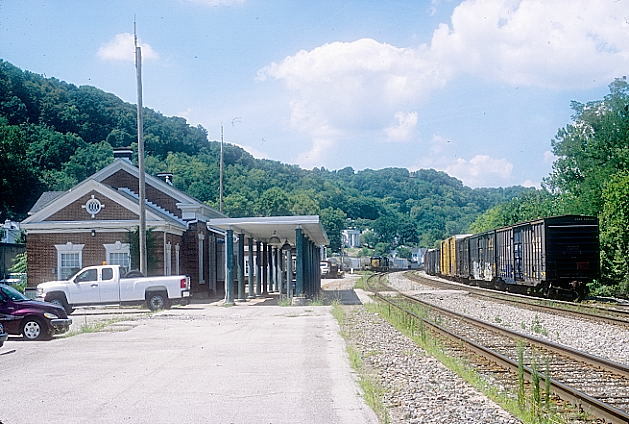 A couple of hot slab flats were parked on the siding on the right. Maybe they were set out as bad orders from the Ashland-Middletown train for AK Steel. 7. 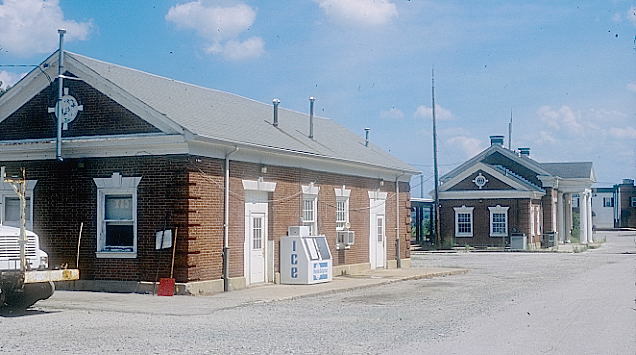 Former C&O depot at Covington, Ky. It appears to be leased out for offices. Sure looks better than it did in the '70s when it was abandoned and derelict. 8. During the bus tour on Friday, August 5th, we visited the Greater Cincinnati Railroad Museum in Latonia, Ky. They had many pieces of freight and passenger rolling stock in various stages of restoration. 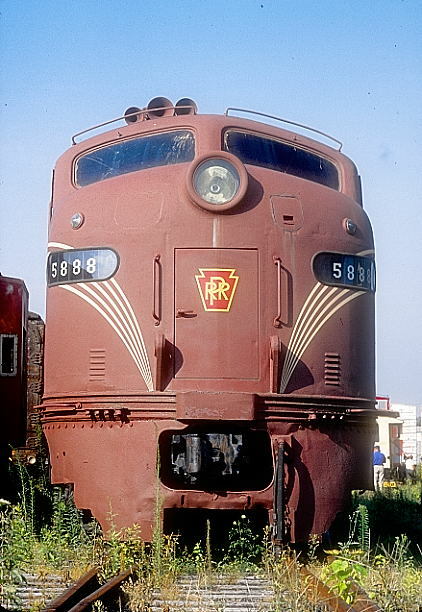 PRR E-8a 5888 caught my attention. Note the lifting lugs on either side of the front door. 9. 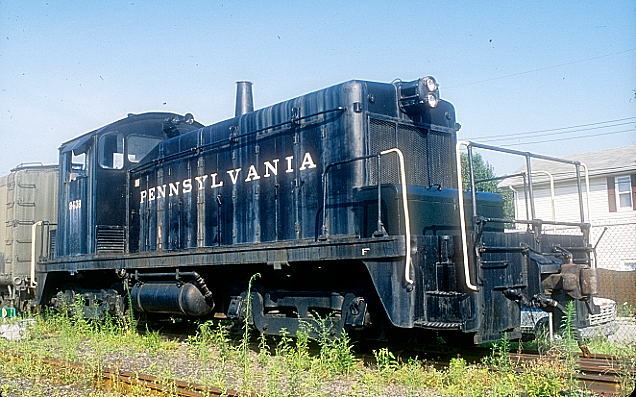 Also present was former PRR SW-1 no. 9408. Later in the day we visited Cincinnati Union Terminal. We got a great tour of the various offices, board meeting rooms, restaurant and dining rooms of this art deco masterpiece. We also visited Cincinnati Railroad Club's "Tower A". 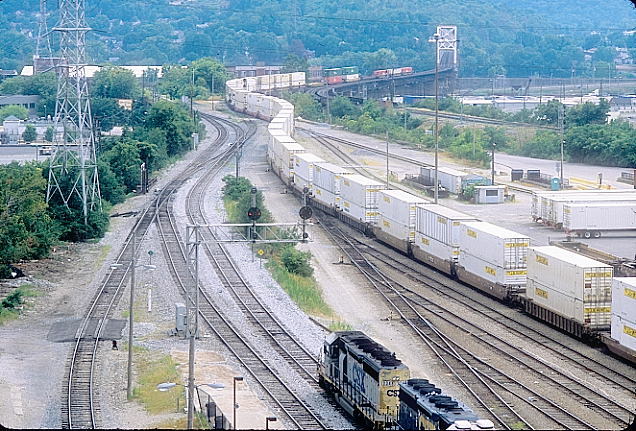 From this vantage you have a panoramic view of NS's (former Southern) Gest Street yard and the south end of CSX's Queensgate Yard. 10. 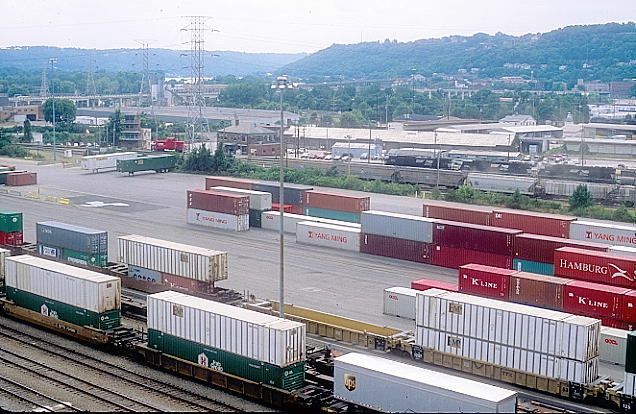 Looking northwest at the NS intermodal terminal on left. CSX 1 and 2 mains. 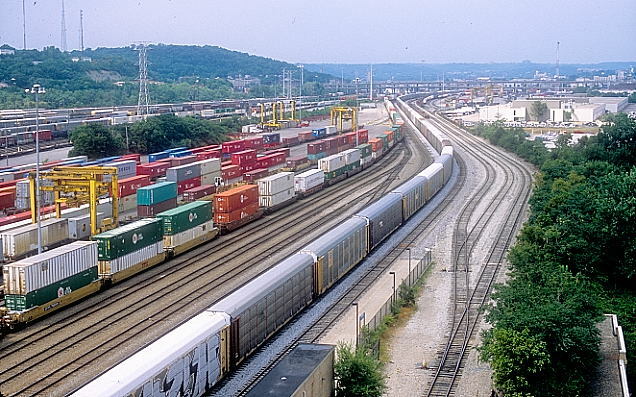 CSX intermodal terminal on right. 11. Looking southwest at NS intermodal yard, DI Tower and yard office. 12. CSX 8040-7524-8305-8048 on a southbound mult-level train await departure at the "Tower A" signal. Note that B&O-style color position-light signals have been used as they have been on the former C&O over to KC Jct. in Covington. So don't give up on CPL's just yet! 13. Closer view of "Tower A" signal. The CSX train will leave via the old "Southeast Connection" that was used by C&O and L&N passenger trains in the C.U.T. era. 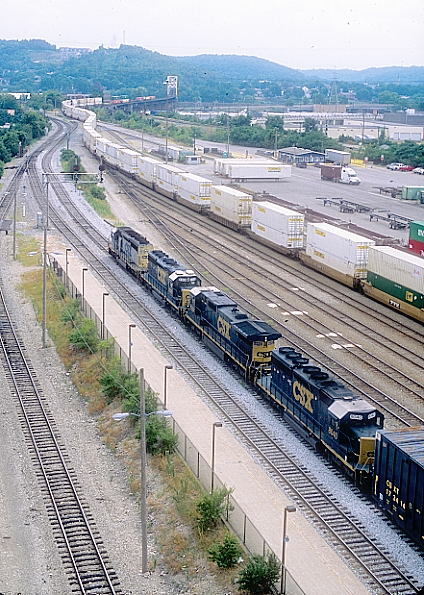 NS has a long double-stack train paused entering their yard. 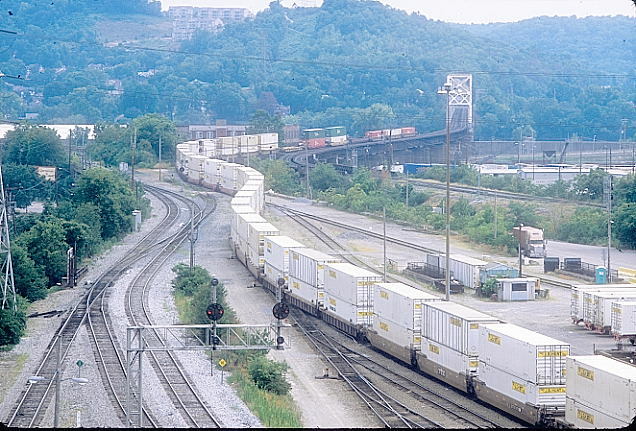 The CSX multi-level train will go either toward Louisville or Corbin from KC Jct. The concrete platform for Amtrak's "Cardinal" passengers is at the bottom of the view. 14. Closer view of the NS man and the big bridge to Ludlow, Ky. Southern Ry. took their passenger trains and engines back to the yard and shops at Ludlow for servicing instead of using C.U.T.s facilities. It was a very short distance. 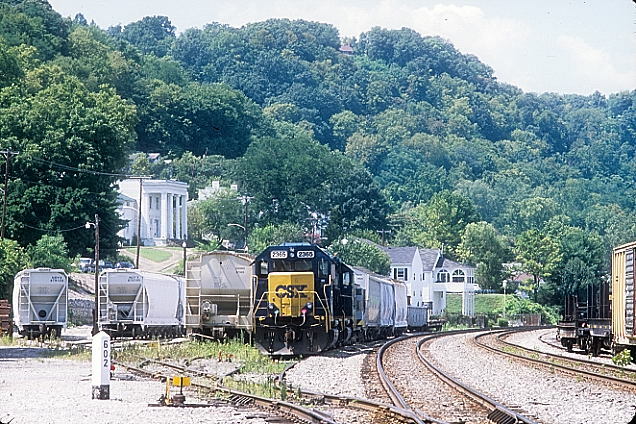 Note the connecting track in the curve between CSX and NS.